A tribute to the Belgian, and other early season classics. There was a time when I used to think watching pro cycling was pretty boring. I watched the Tour de France for many years because I was interested in cycling, but if I’m honest it was all pretty tedious and not very much really happened. The action was mainly enlivened by Carlton Kirby or the legendary David Duffield getting randomly excited about a local wine vineyard that the peleton had just passed (and if that was the highlight of a stage, imagine the tedium…) For several years, the Tour de France was just three weeks of watching the US Postal team ride on the front, and at the end of the month, the same bloke always seemed to win. These days, the Tour seems slightly more unpredictable and in 2013 there were some great stages, despite the fears it would be all about the Sky train. But, whatever the Tour de France can serve up – the great spring classics are on another level for sheer excitement, interest, unpredictability and sporting endeavour. Even the place names in the classics seem to conjure up the best of cycling and northern Europe. Just hearing the names of the great cobbled climbs like Oude Kwaremont, the Paterberg, the Kopenberg, the Muur seems to evoke epic battles on the bike. 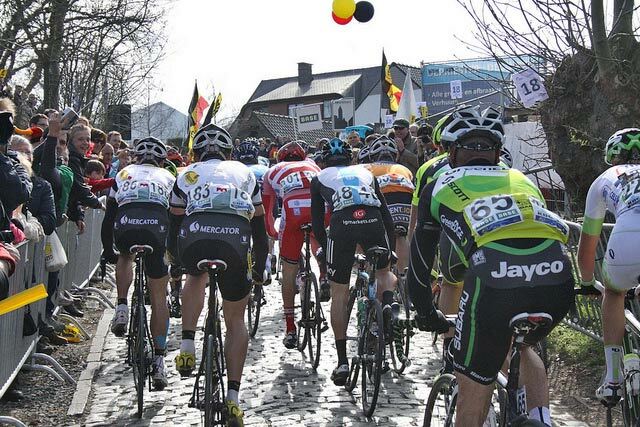 Yesterday’s Tour of Flanders was epic. 200 riders jostling for position and fighting along narrow cobbled roads. It seems ever year there are more crashes than usual; this year was particularly bad as if some random assassin was taking out riders and laying them low in the ditch. It’s almost too much to watch riders lying prostrate on the ground. I hate seeing crashes because I always identify with the pain of falling off, but it does add a crazy unpredictability to the race, which also makes it more fascinating to watch. You feel slightly guilty for enjoying a spectacle which involves so much crashes – but that’s the Belgian Classics – for hardmen only. Even to ride in the classics will be a lifelong goal for many Belgian riders; the fear of crashing seems to act as no deterrent. In the E3 Harelbeke, Cancellara was dropped, caught up in a crash – to then see him scythe through the remnants of the straggling groups on the road was quite something, it was like his come back in Paris-Roubaix 2013. There are not many sporting events where the favourite might find himself knocked to the ground and have to make a comeback like that. The good thing about sitting in your armchair is that you can mentally shout instructions to the riders in the thick of it, as if they were characters in a computer game. But, there is no predictability. The leading four riders can work as a team time trial for 20km in an uneasy truce, but then suddenly the teamwork is broken asunder and in the last km they come almost to a track standstill as they weigh up their options for the final sprint. That is how it happened at yesterday’s Tour of Flanders, with Cancellara narrowly defeating a trio of Belgians. Who would want to ride the classics? Yesterday before watching the Tour of Flanders, I was riding the Circuit of the Dales. It was epic in it’s own right, and I really enjoyed riding it. But, you can’t compare a hilly 50 mile TT to a one day classic, it’s almost a different sport. As much as I enjoyed watching the classics – I’m caught in two minds as to whether I’d like the opportunity to do that kind of race. There must be no greater feeling than attacking up the middle of the Kopenberg with thousands of crazy Belgians cheering you on. But, for every Cancellara and Boonen dropping the pack on the cobbles, there are those other riders nursing their elbows in some Belgian ditch. In the classics, the line between glory and suffering has never been so thin, yet so dramatic. Do I regret not being a classic rider? not really. Though, if I were a procyclist, with my 61kg build, Paris Roubaix would be the last race I would do. For now, I’m happy to just watch and appreciate the effort and courage of the riders. Milan – San Remo (Italy) – the first true Classic of the year, its Italian name is La Primavera (the spring), this race is normally held on the Sunday closest to the first day of spring. First run in 1907. Gent–Wevelgem (Belgium) – the first of the ‘Spring Classics’, First held in 1934. 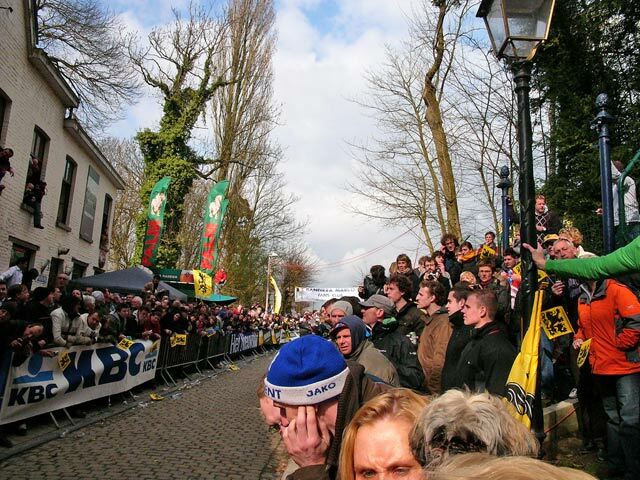 Tour of Flanders (Belgium) – Vlaanderens mooiste (“Flanders’s most beautiful”) is normally raced in early April. First held in 1913. Known in English as the ‘Tour of Flanders’ and in Flemish/Dutch as “de Ronde van Vlaanderen”. Paris–Roubaix (France) – La Reine (“Queen of the Classics”) or l’Enfer du Nord (“Hell of the North”) is traditionally one week after the Tour of Flanders, and was first raced in 1896. Together, Milan-San Remo, the Cobbled classics and the Ardennes classics form the Spring Classics, all held in March and April. This is not to knock the Grand Tours, they have their own slow-burning interest and excitement. To use a cricket analogy, Grand Tours are like the 5 day Test matches with slowing changing tactical advantages and nothing guaranteed until the last day, One day classics are like the one day, fast scoring, internationals. Both have their place. I would also add the Flemish ‘semi-classics’ such as Omloop Het Nieuwsblad, Kuurne Brussel Kuurne and Dwars door Vlaanderen. You are always guaranteed full on exciting racing and if you look at the winners of these races, they’re usually the guys that fight for the podium places in the Ronde and Roubaix later on. Funny you should mention Carlton Kirby as there was such an hilarious moment in the Amstel Gold race this year where he was describing how the riders were tackling this seemingly innocuous climb called the ‘Kopgroep’ only to realise (thanks to Sean Kelly no doubt) that Kopgroep was in fact not one of the 34 climbs, but Dutch for ‘front of the race’!